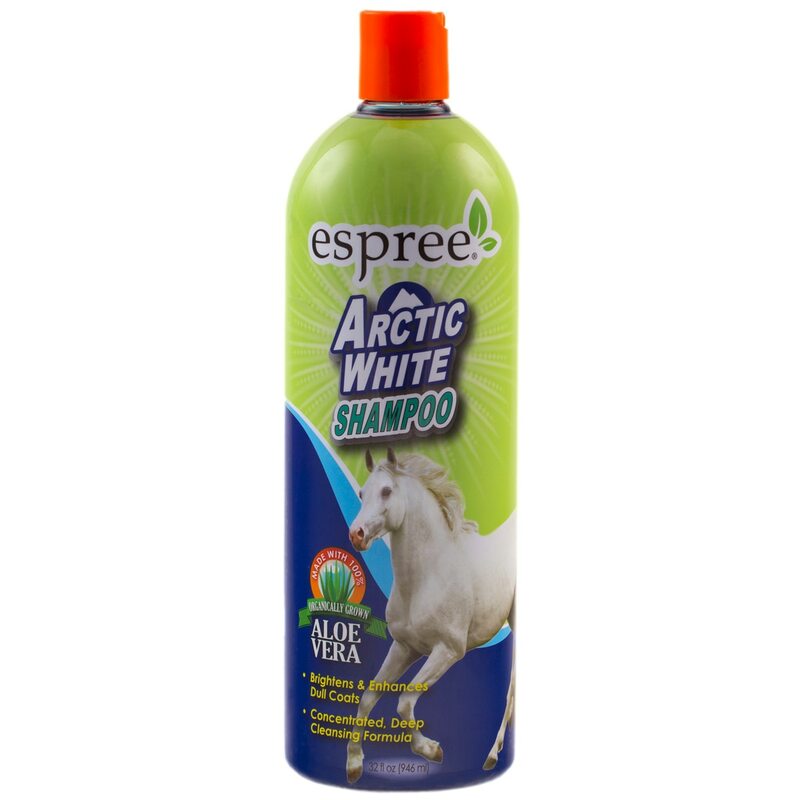 Espree® Arctic White Shampoo is a whitening and color enhancing shampoo that works to remove dirt, oil accumulation and difficult stains without bleach or harsh chemicals. This optical brightening formula refreshes even the dullest coats. Use full strength or dilute up to 10 parts warm water to 1 part shampoo. Massage into coat, for best results leave 5 minutes and rinse thoroughly. Espree® Arctic White Shampoo is rated 5.0 out of 5 by 1. Rated 5 out of 5 by Loretta from This works better than any other whitening shampoo I’ve tried, and I’ve tried many!